The name of the iPad Air speaks to the sleek tablet computer that is both lighter and thinner, yet runs faster than previous iPad models. The new A7 chip drives the fast processing time, making games more responsive and enabling graphics to be more powerful. Critics unanimously agree that Apple hit it out of the park with this mobile device and pretty much rendered all previous models obsolete. Just like the previous versions of the iPad 3 and 4, the iPad Air includes Retina display with a 2048×1536 resolution. There does seem to be a minimal amount of reflectivity off of the screen, especially when users are moving the tablet, but the quality is still considered top-notch and only a small handful of other tablets on the market could be compared to the iPad Air. Parallax, a feature that gives wallpaper a 3D effect when users move the device, is actually not distracting and doesn’t drain the battery life. Users have access to a notification bar that can be activated from the top of the tablet. Here they can access updates, calendar information, and missed messages. Unfortunately, Apple did not include the popular TouchID with the iPad Air, which allows owners to bypass entering a password simply by touching their finger to the screen and matching the fingerprint that has been registered to the device. There is a new Control Center that users can drag up from the bottom to access music controls, brightness, Wi-Fi, and other features that need to be accessed frequently. To compare Apples to Apples, the processing of the iPad Air is considered much faster than the iPhone 5s, meaning that music, videos, and games play smoother in comparison, and are more seamless. The speaker quality is decent, but the placement of the speakers is slightly awkward and when the tablet is turned to landscape the sound can become distorted. The battery life of the iPad Air is minimally improved, but because of the faster processing, activities just seem to take less time. While the 16GB device seems to be lacking in enough storage space for HD movies and apps, it is sufficient for minimal to moderate usage. The power key is top-mounted and there is a silencing rocker control for volume on the side of the device. The camera is the bare-bones version of the one that users find on their iPhone 5s, without slow motion capability, a flash, or extensive filters. However, the iPad Air is one of the first tablets to use MIMO technology, a stronger and faster wireless connectivity. The iPad Air definitely takes advantage of the tens of thousands of apps in the App Store, and now also includes a suite of favorite apps on the device. Pages, Numbers, Keynote, iPhoto, iMovie, and GarageBand are among some of the most popular apps for the iPad Air, and the faster processing makes these run even better. One of the major limitations of the software for the iPad Air is the inability to link contacts and create user profiles. However, users now have the capability to perform file sharing functions from one device to another. The iPad Air comes in two models, the Wi-Fi ready and the Wi-Fi +3G/4G model. Users who invest in the 3G/4G model can add mobile internet for an additional fee. This option is a popular one, especially for those who use their iPad Air as a bridging device between their smartphone and laptop. The new lightning-fast A7 chip that Apple dropped into this sleek tablet computer ensured that this was going to be the fastest iPad to date, and therefore only the best online casinos were ready to handle this kind of processing power. 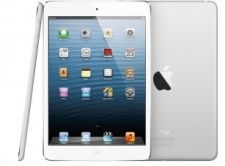 For obvious reasons, we here at MacCasino.net consider the iPad Air to be the best iPad ever released, and we therefore spent more time than ever before researching casinos, playing games, and testing out software. This Apple device is special and only deserves the best, so we are proud to recommend the following online casinos, broken down by geographic region. The hottest iPad ever deserves the sexiest casino ever, which is the Slots.lv Casino, available to all players in the USA. They are one of the most popular online casinos in the United States today, and their software is hands-down the best available for the iPad Air. When you add in their great bonuses, fantastic player rewards program, and award-winning customer service, it’s easy to conclude that Slots.lv is the #1 place to play online. With over 100 fantastic mobile games available, the 888 Casino is the best online casino for those looking to gamble on an iPad Air and living in the United Kingdom. 888 has carefully partnered with only the best casino software providers to ensure that their mobile product for later generation iPads and iPhones blows the competition away. We here at MacCasino.net were quite surprised with the continuous speed of the games, and didn’t experience one instance of a game freezing, so we happily recommend them to anyone in the U.K.
For those Canadians looking to place bets on an iPad Air, the only destination you should want to consider is the Bodog Casino, which is without a doubt one of the best online casinos in Canada today. Their proprietary mobile software is flawless and they offer a huge selection of games for both iPads and iPhones. 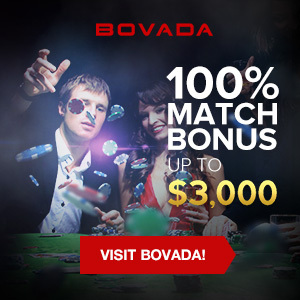 Also, the current Bodog bonus offer of 100% up to $600 is one of the largest that you will find online.